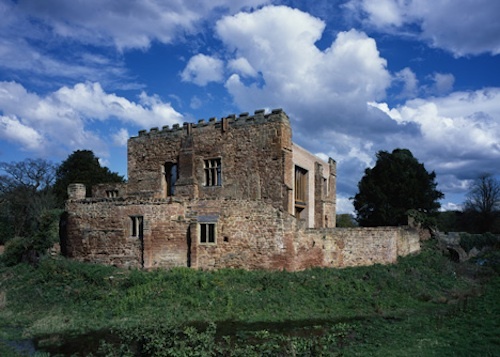 Who hasn’t looked at a ruin and imagined the possibilities of a home in one? 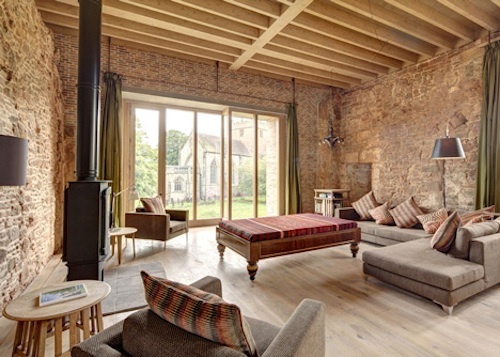 Here’s a wonderful renovation that captures that spirit of adventure and novelty, by leaving intriguing gaps for the imagination wander through within the renovation. 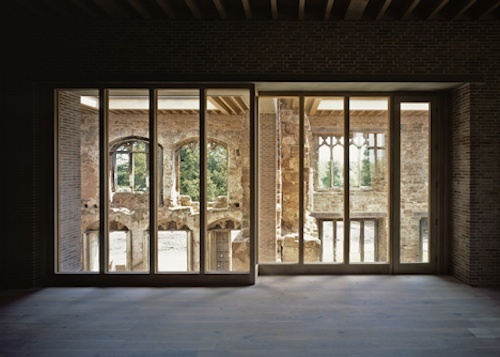 The retrofit of a crumbling twelfth-century castle in Warwickshire, England by London studio Witherford Watson Mann is one of six projects nominated for the 2013 Stirling Prize. 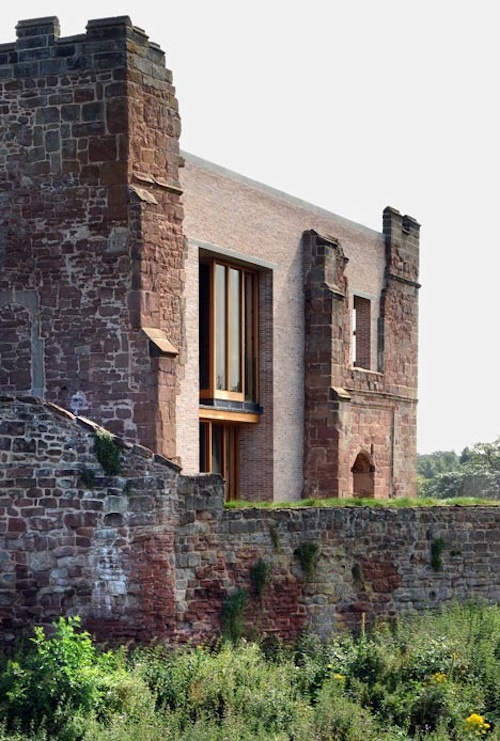 The architects had already won The Landmark Trust competition, a charitable endeavour, creating the funding with which to rebuild. Building behind and below the crumbling walls with clay brickwork to fill in gaps in the structure, a contemporary residence is created. 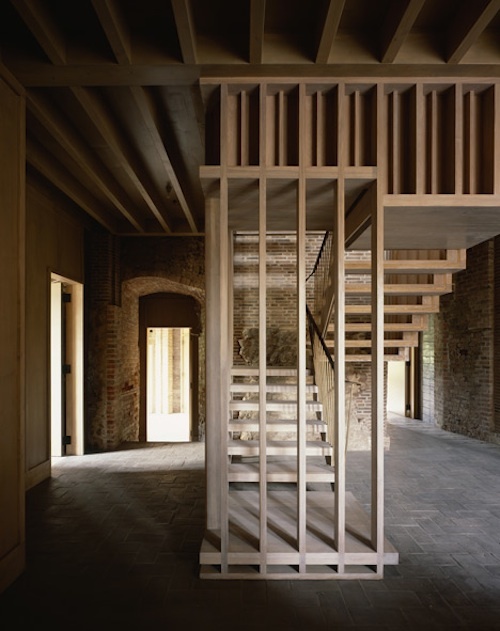 With no budget to restore the building, architectural charity for the design of a holiday house that could be created within the decaying structure. 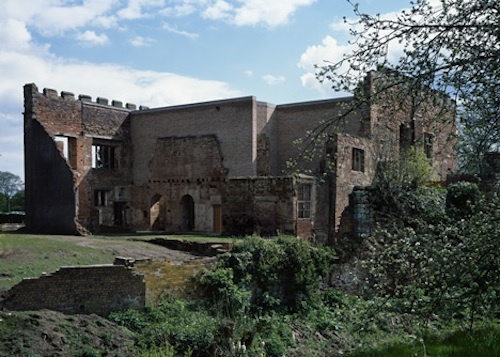 Surviving since the middle ages as the home of an aristocratic English family, Astley Castle had been in ruins since the mid 20th century when a fire wiped out a hospitality operation inside it. Now it houses a contemporary two-storey residence that squats inside the building’s chunky sandstone walls. 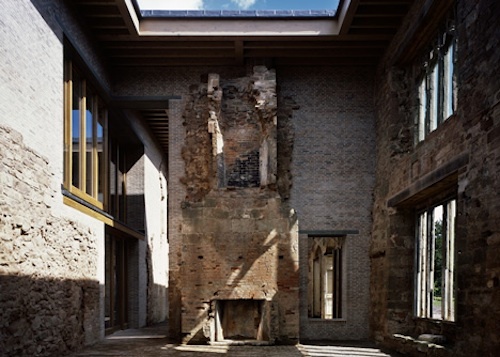 And the spirit of the original is preserved as a partial roof stretches over extensions added in the sixteenth and eighteenth centuries, but instead of blanketing these spaces it simply forms an open canopy, creating entrance courtyards exposed to the weather. 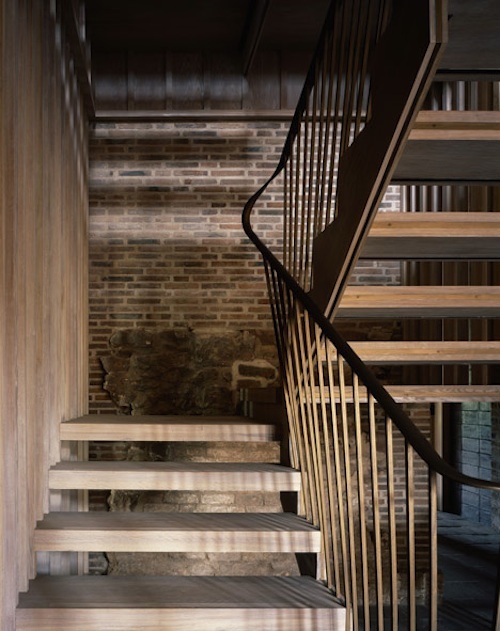 This entry was posted on Friday, May 9th, 2014 by Susan Kraemer and is filed under Architecture. You can follow any responses to this entry through the RSS 2.0 feed. You can leave a comment.